Of the many theories regarding which character will jump from The Walking Dead to Fear the Walking Dead or vice versa, executive producer Greg Nicotero claims none he has heard have been correct. Many fans have suspected Michael Cudlitz will return to his Abraham Ford role as Fear the Walking Dead possibly heads to Houston, Texas in its fourth season. Others think the long lost Morales will pop up for an encounter with fellow Alabama native Madison Clark. Some want to see Alicia Clark or her mother Madison become a Whisperer in The Walking Dead Season 9. Still, none of these theories have hit the nail on the head. "Nope, not yet," Nicotero said of the fans' guesses. "I love the fan theories. The Abraham one was certainly intriguing and definitely my favorite." "I'm not sure when it's gonna take place," Nicotero said. "I don't know when we're actually introducing that. Listen, the fans come up with some great ideas. Even if they were on point, you know I can't tell you that!" In an interview which will debut on After the Dead immediately following The Walking Dead Season 8 premiere on The Walking Dead on ComicBook.com's Facebook page, Nicotero revealed his excitement for the upcoming events on Fear the Walking Dead. "I will tell you, I've read the first two outlines, and they're astonishingly good. 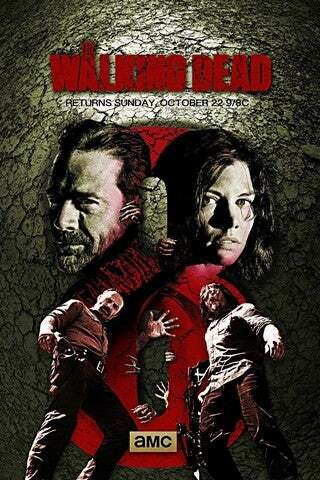 It really got me very, very excited about the upcoming season," Nicotero said. "I think Andrew [Chambliss] and Ian [Goldberg] have done an amazing job. There's great, great stuff coming up on Fear the Walking Dead next year."